Not Just a Sunsuit Day 6 – Separates, Jumpsuits, Sunsuits, Oh My! We took a break from the Not Just a Sunsuit tour for the weekend, but we’re back with the start of the final week of touring the Paneled Sunsuit PDF pattern. Today we have an assortment of styles so there is sure to be something that catches your eye! 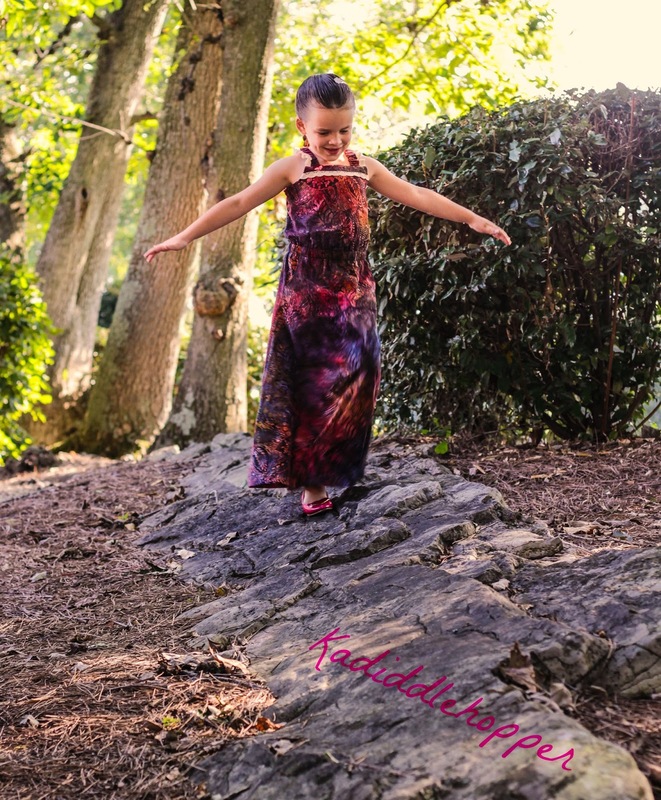 First up is this gorgeous maxi dress from Katie of Kadiddlehopper. That lace trim is the perfect accent! 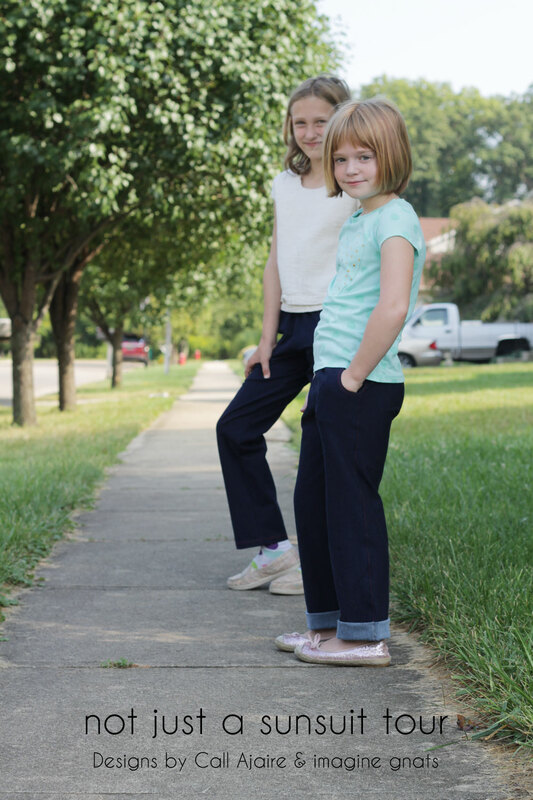 Rachael from Imagine Gnats made her girls the most comfortable looking denim knit pants ever! You need to click over to see the details. 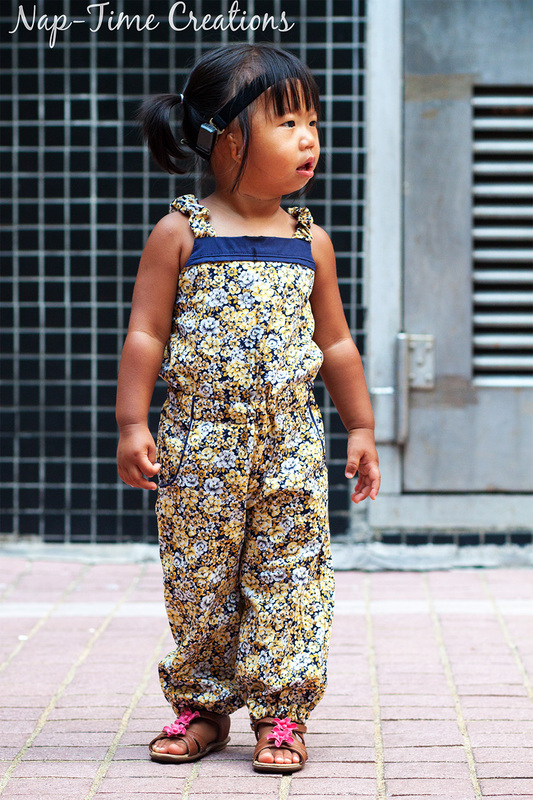 How adorable is Emily from Nap Time Creations‘ little girl in this jumpsuit?? I love the addition of the elastic on the trouser legs! Read the full post here. Sew Cool For the Tween Scene did a great write up of the Paneled Sunsuit today. 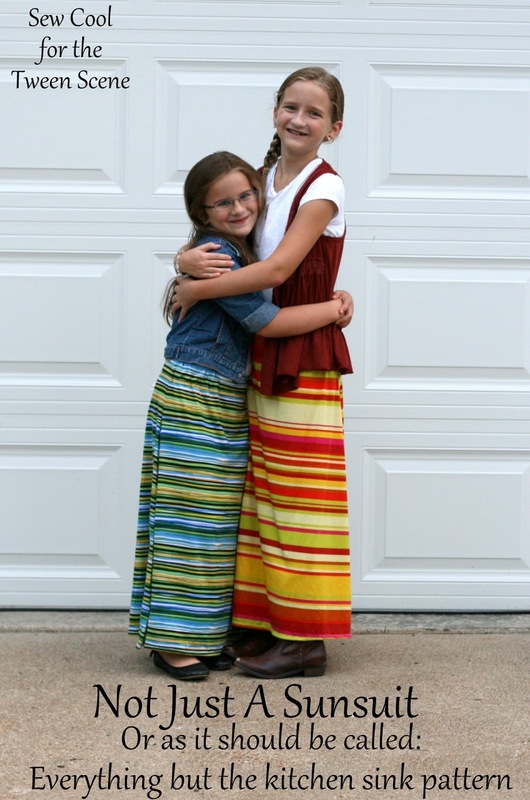 The two maxi skirts Sally made for her girls turned out great and Kelli was a fantastic member of the testing team!